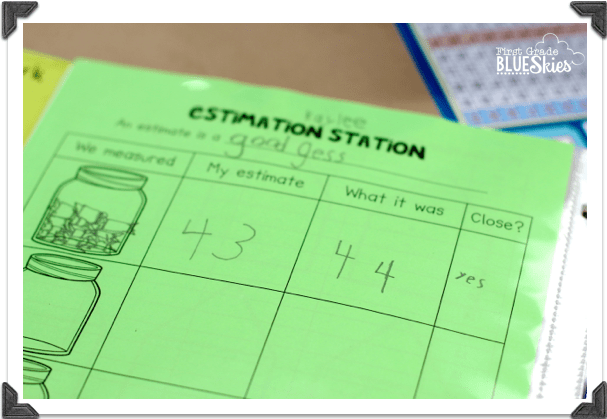 First I show the kids the estimation station filled with whatever we’re estimating this week…and we discuss what “estimations” are (good guesses). I show them the little scoop that came with the kit and we fill it with the chosen objects (this week it was tootsie rolls, so I showed them what 10 tootsie rolls look like) and we discussed how many of those groups could be in the station for it to make sense. Next we count out the tootsie rolls and make groups of 10…then we go back to our desks and record what the actual count was and whether or not our guess was close. Now for the important part, we go through the post-it notes on the board and decide if the guess is less than or greater than the actual number of items. Then we place it where it goes inside the hoop. 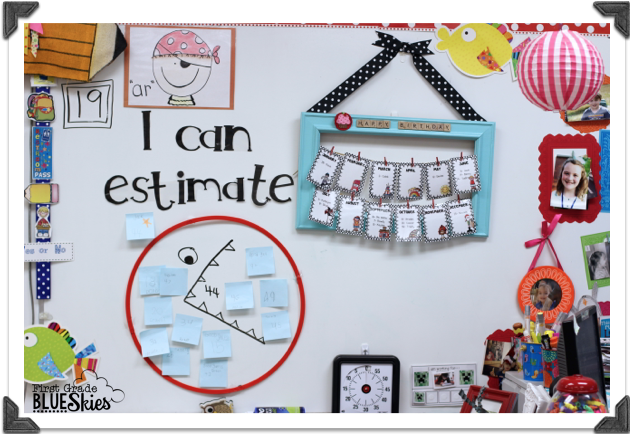 Hope this post inspires you to try some estimation activities in your classroom (if you aren’t already)! if you already do, I’d love to hear what you do in the comments below! GREAT IDEA!! LOVE YOUR ESTIMATION STATION! I love the hoop idea! thanks for sharing. The hoop with Greater/Less than is wonderful! Great post! 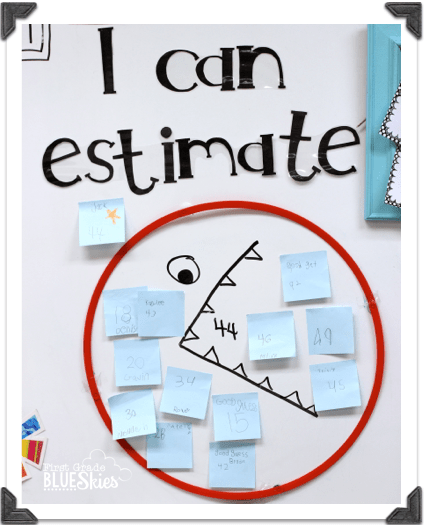 I love this idea…..I do estimation later in the year with my kinderkids….I am going to pin this and use it later in the year. I seriously love the estimation station too. 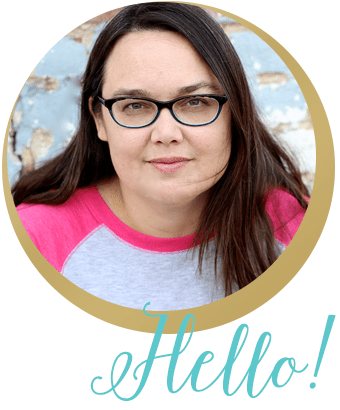 Your post is such a "spark"…I love those sparks to get me going on something new!!! 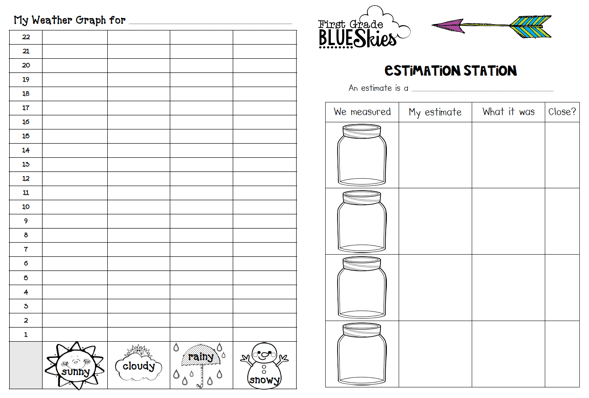 I have the same estimation station but didn't know what I was going to do with it yet! Thanks for sharing this brilliant idea! I love how you incorporate other skills too, like more and less. Thanks for sharing! I love your estimation station! LOVE! LOVE! LOVE! 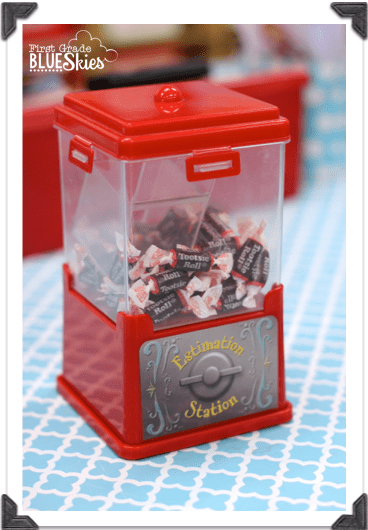 I need this Estimation Station!! 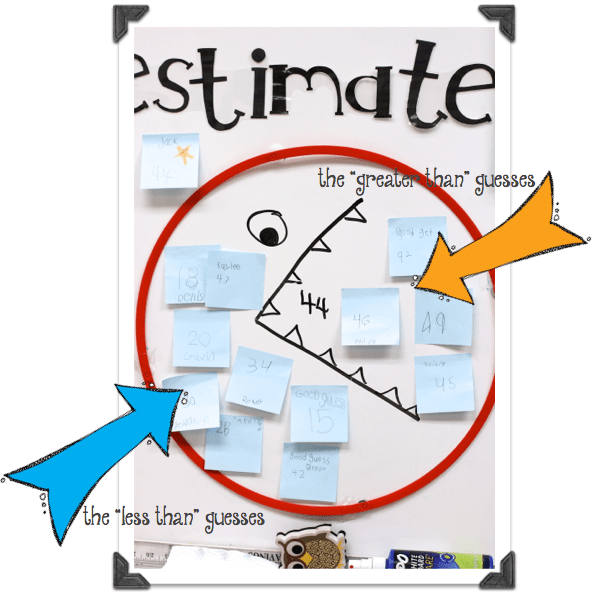 I've been using a glass jar that is bugging me because it has pictures on the back… You're hoop is Awesome what a great way to practice Estimation and Greater Than/Less Than at the same time! !